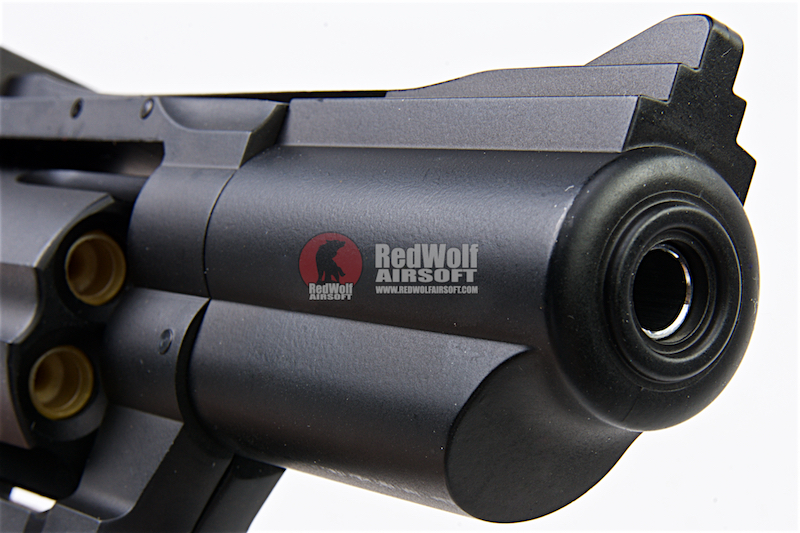 Good for up to 300 fps. 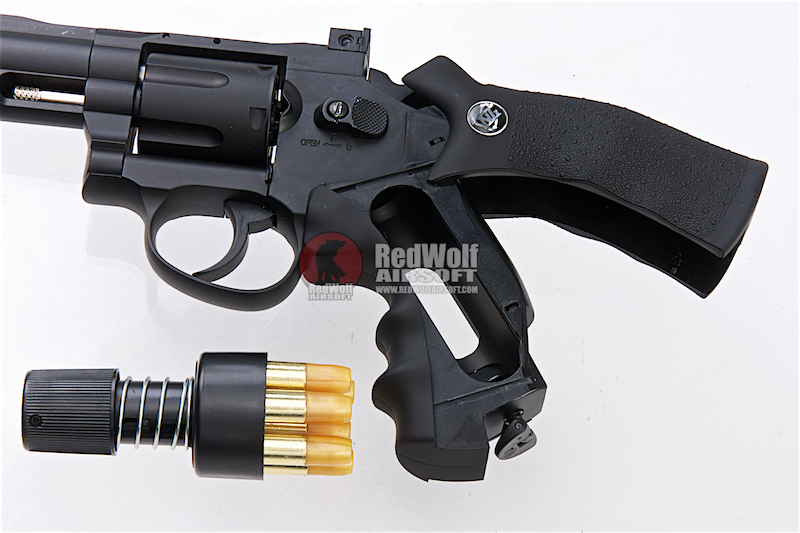 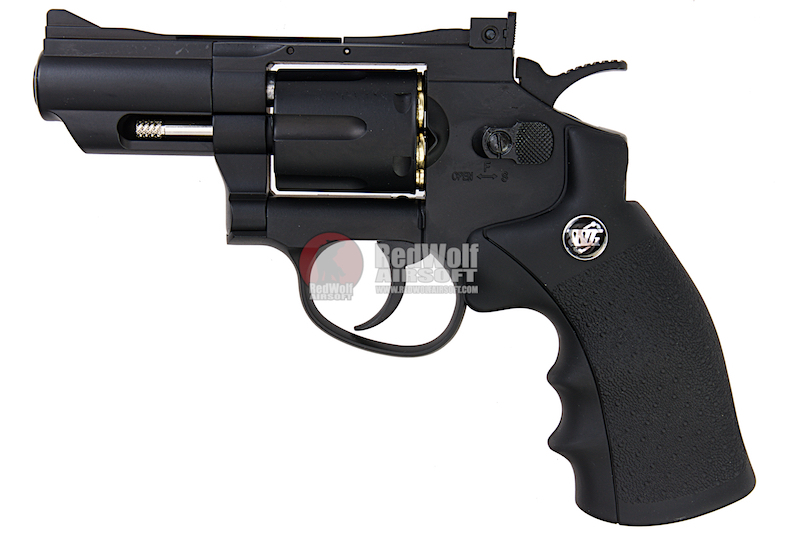 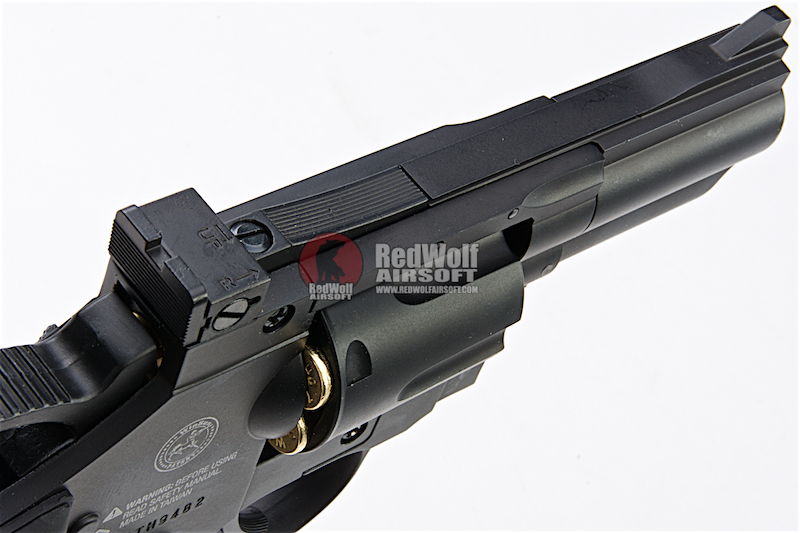 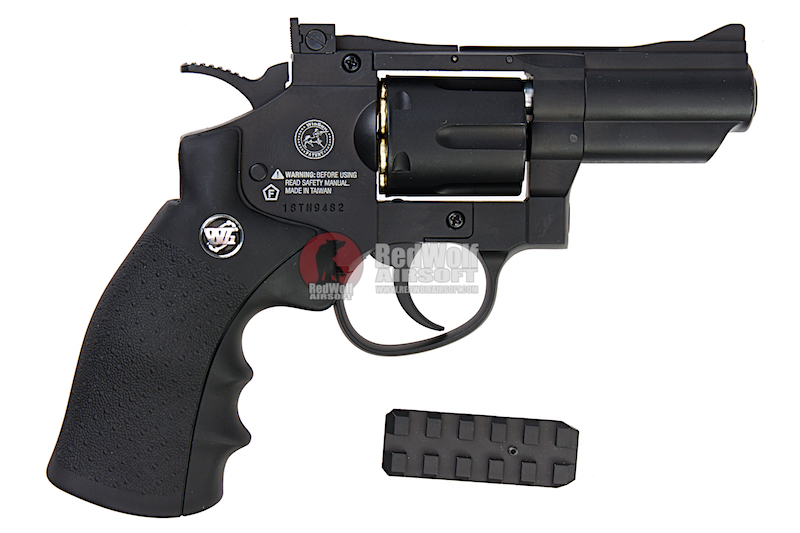 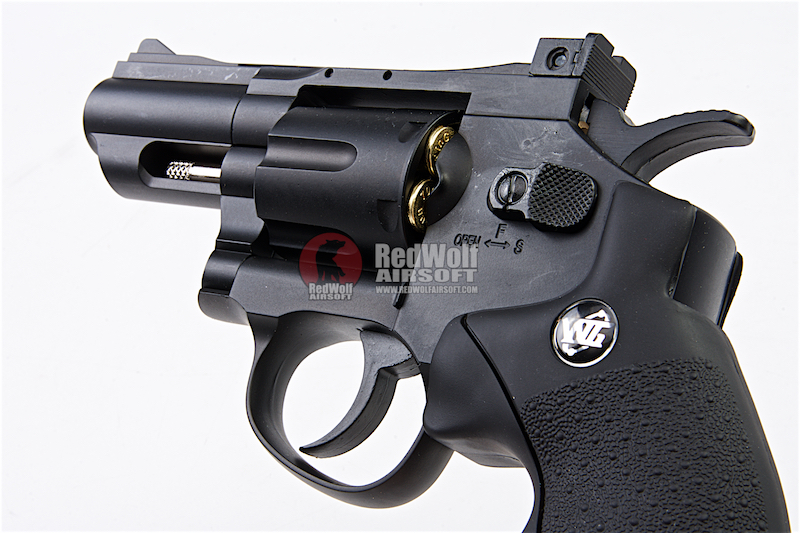 The Gun Heaven 708 is a 2.5" revolver that shoots in both double and single action. 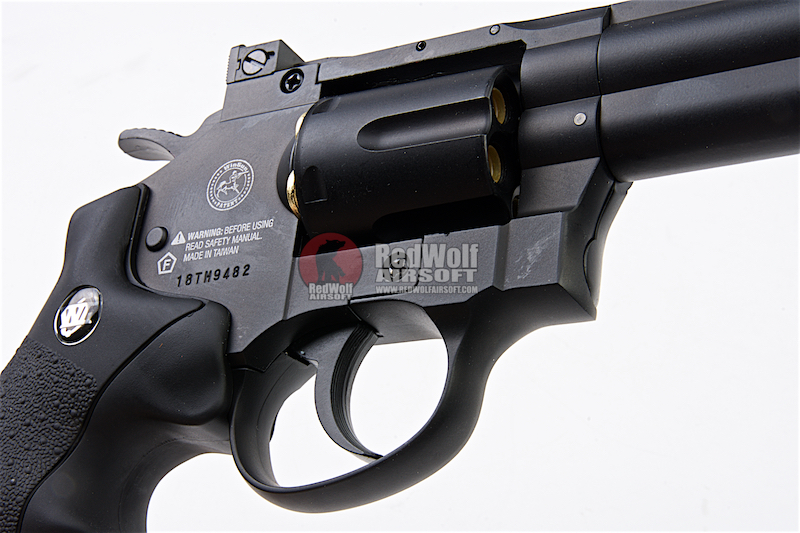 The gun faithfully replicates the full form and function of real revolvers as it even uses individual shells to house each of its six BBs it shoots.